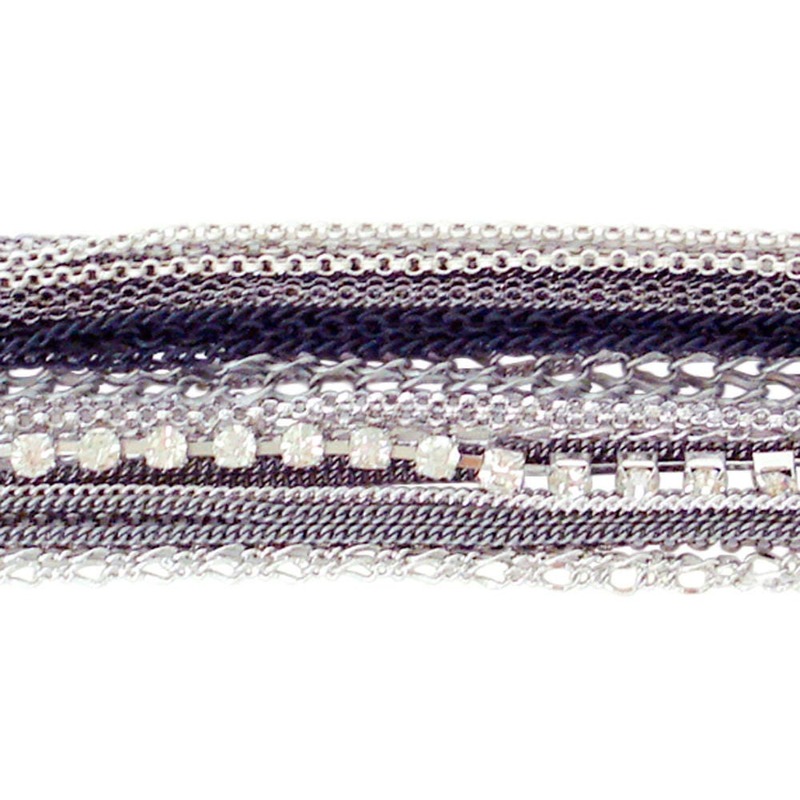 This Multi Tone and Multi Strand Bracelet is great accessory for any occasion! 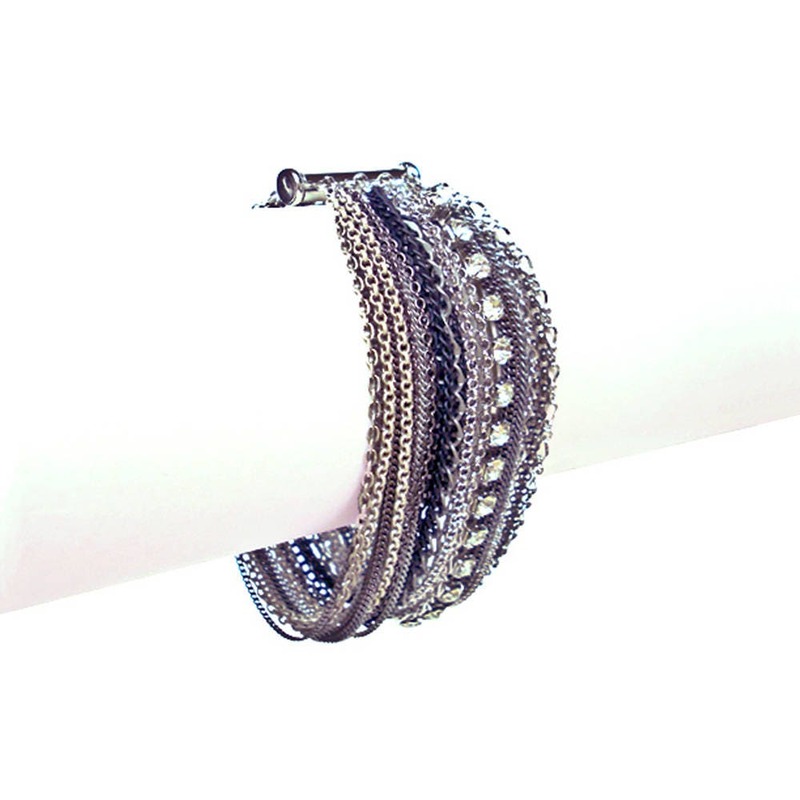 A perfect piece for layering with other bracelets for added texture, or wearing on its own. 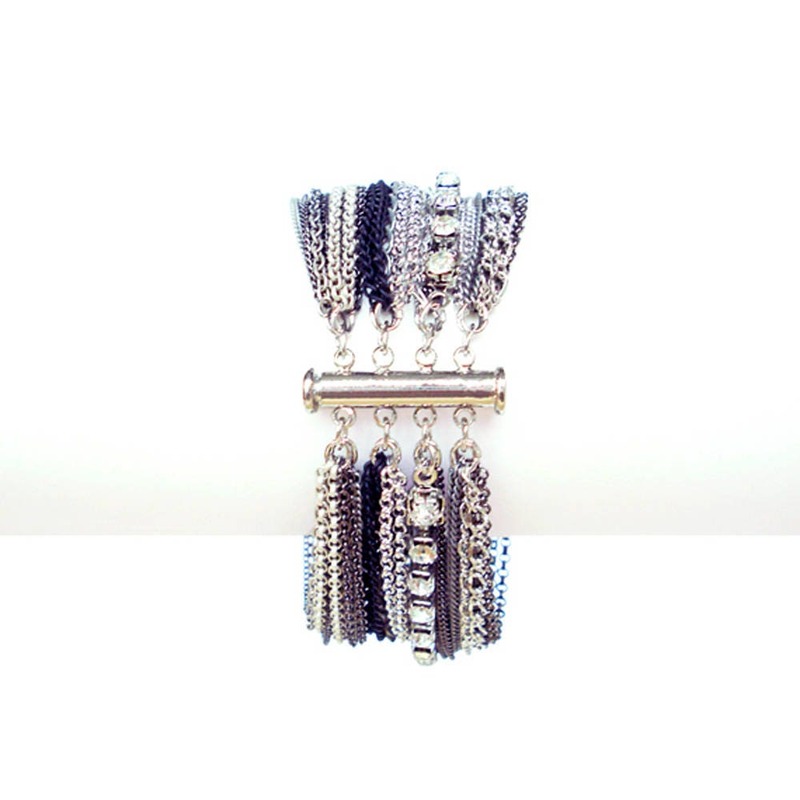 Combination of different sizes and color of chains with dramatic volume. 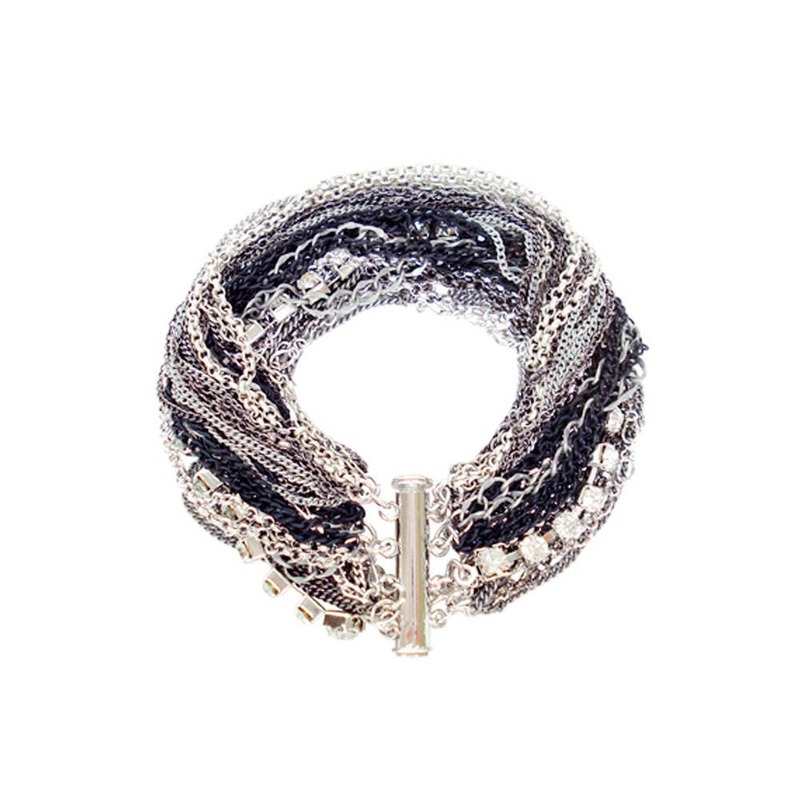 Complete with simple Silde Lock Magnetic Clasp.